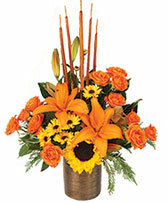 A bright and cheerful arrangement. 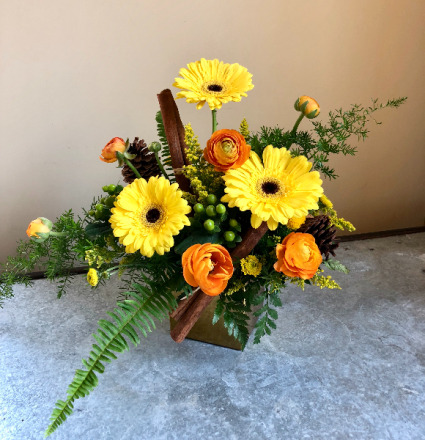 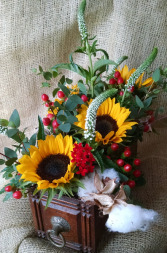 The flowers shown here are ranunculus and Gerber daisies and cinnamon stick accents. 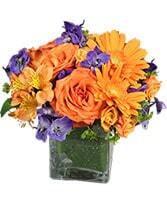 Ranunculus the round orange blooms are a luxury flower and comparable to roses.